We are the leading Supplier, Exporter and Importer of wide assortment of Tohnichi Torque Wrenches (CBD-S Series). 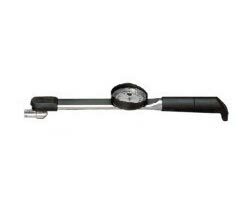 We are offering the best quality of Torque Wrenches one can have. Our distribution department delivers them with utmost care at your doorsteps. We also provide consultancy and after sales services as well. These products are designed in accordance with the industrial standards of quality. Lay your hands on them for reasonable rates. Ideal for Torque Measuring and Quality Inspections.